@ Scotiabank Convention Centre, Niagara Falls, Ontario, Canada. 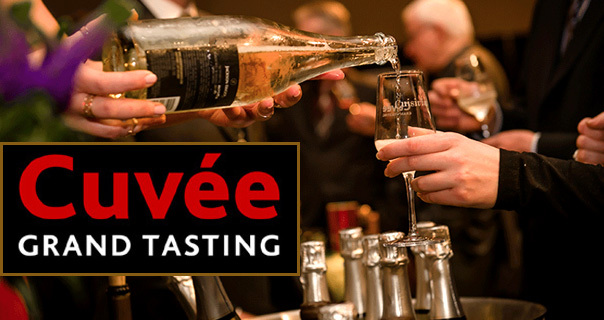 Grand Tasting 7:30 p.m. to 10 p.m.
Brock University’s Cool Climate Oenology and Viticulture Institute (CCOVI)is hosting the Cuvée Grand Tasting on Saturday, March 23rd 2019 at the Scotiabank Convention Centre, located in the heart of Niagara tourism district. The Après Cuvée Party from 9:30 p.m. to midnight, will keep the celebration going with dancing and will feature sparkling wine, Icewine as well as local craft beer stations. Scotiabank Convention Centre’s president and general manager Noel Buckley said that they are proud to partner with Brock University on such a prominent Niagara-based event. “Ontario wines, particularly those from Niagara, are some of the finest in Canada and the world and the Cuvée Grand Tasting is the perfect opportunity to celebrate this fact,” said Buckley.